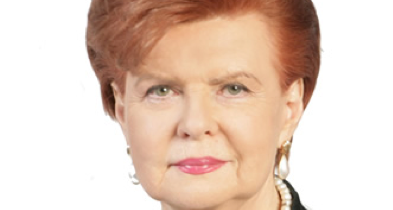 Dr. Vaira Vike-Freiberga will speak at the MPA, SciencesPo Paris on Monday, November 28th 2011. Seating is limited and priority is given to MPA students. If you would like to attend please send an email to info@womeninpublicaffairs.com. Dr. Vaira Vike-Freiberga is a professor and interdisciplinary scholar having published eleven books and numerous articles, essays and book chapters in addition to her extensive speaking engagements. As President of the Republic of Latvia 1999-2007, she has been instrumental in achieving membership in the European Union and NATO for her country. She is active in international politics, was named Special Envoy to the Secretary General on United Nations reform and was official candidate for UN Secretary General in 2006. She remains active in the international arena and continues to speak up in defense of liberty, equality and social justice, and for the need of Europe to acknowledge the whole of its history. In December 2007 she was named vice-chair of the Reflection group on the long term future of the European Union (2007-2010). Chair of the high-level group on Freedom and Pluralism of the Media in European Union, established by the vice-president of the European Commission (2011). She is also known for her work in psycholinguistics, semiotics and analysis of the oral literature of her native country. President Dr. Vaira Vike-Freberga of Latvia (1999-2007) will be the first WIPA guest speaker of the 2011-2012 academic year. WIPA is honored to welcome her to the MPA at SciencesPo.